The use of hot springs is nothing new since people have been on the Earth, they have been soaking in mineral-rich hot waters. Whether these early people knew about hot springs health benefits we will never know, but today we are very well aware that hot springs health benefits are varied and significant. We know that hot springs have been used for thousands of years. The ancient Greeks, Phoenicians, Hebrews, and Egyptians made special pools for bathing both communally and privately. Hot springs water has been used for healing purposes as well as in religious ceremonies. The ancient Romans built private bath and public "Thermae" with capacity for thousands of people. The Greeks and Romans also believed in the healing powers of mineral geothermal water. Balneotherapy, or medical bathing, is part of medical treatment or preventive care that is widely used in modern Japanese and European mineral hot springs resorts. In the U.S. mineral hot springs are mostly used for recreation and relaxation. 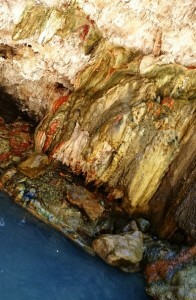 Because of the unique nature of hot springs, the exact content of each one will vary to some degree. But regardless of the little differences, most Oregon hot springs contain over 13 different minerals: sulfur, silica, calcium, sodium, bicarbonate, boron, magnesium, selenium, potassium, bromine, fluorine, lithium, and iron. Each of these minerals can have a direct effect on our health and well-being. Each and every mineral in hot springs have some function in the human body, some more than others. 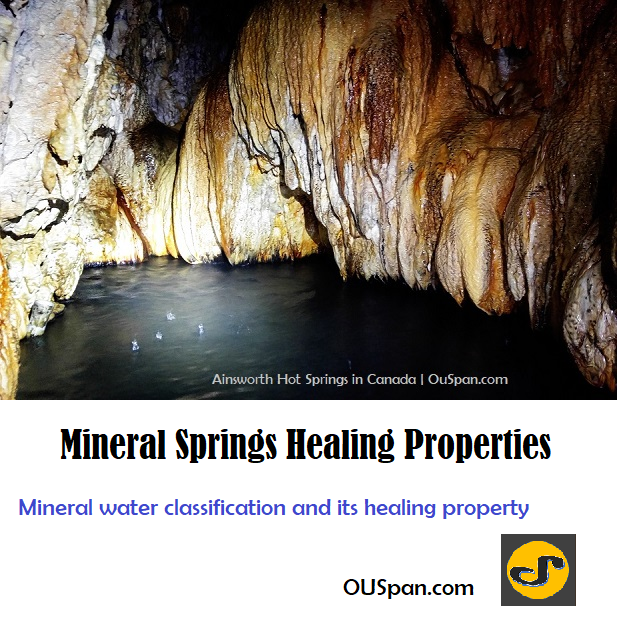 One of the hot springs health benefits is the ability of the body to absorb these minerals in the trace amounts. Minerals are not the only benefit of hot springs; the heat itself can provide huge benefits to the body. The increase in body temperature causes an improving blood circulation which will benefit all organs and systems. Improved circulation may also be part of what helps hot springs to relieve the pain that is associated with muscle and joint problems. A nice long soak in hot springs can also help you get a good night’s sleep. The process of raising your body temperature and the rapid cooling that follows results in a deeper, more restful night’s sleep. Now that we have established that hot springs can be very therapeutic, it is important to know how to use them for the maximum benefit. Many non-commercial hot springs are good for soaking only. While they do contain many of the essential minerals that our body needs, it is risky to ingest or inhale the water from the hot springs. It can contain pollutants, bacteria, and heavy metals. Soaking in the hot mineral water is relaxing and enjoyable. However, you should be aware of possible adverse effects and follow precautions for the risk-free thermal bathing. Pregnant women should not use hot springs unless approved by a doctor. People with cardiovascular problems, diabetes, low or high blood pressure should ask the doctor before getting into the hot water. Do not soak under the influence of alcohol or recreational drugs. Stay hydrated - drink plenty water or non-alcoholic and caffeine-free beverages. Some hot springs can contain scalding water, ex. Austin Hot Springs. Extremely hot temperature can be enough to cause second- or even third-degree burns. Always, test the water before getting into it. Too much time in the hot water and the body temperature can rise to dangerous levels or cause your body to become dehydrated. Note. Children will overheat more quickly than adults. Do not bath in the hot water if you are pregnant. Prolonged bathing in hot water, hot tub or sauna can cause neural tube defects (brain and spinal cord damage) in the baby and miscarriage. Soaking in hot water of mineral springs causes a rising in heart rate and a drop in blood pressure lower. Rapid heart rate rises might lead to a drastic drop in blood pressure that, in turn, shocks the body and can lead to lightheadedness, fainting, and even cardiac arrest. People with cardiovascular disorders should seek medical advice before entering into hot springs waters. Hydrogen sulfide in a high concentration has toxic effects and can be fatal due to the blocking of cellular respiratory enzymes cause cell anoxia and cell damage. Do not bath in unknown wild hot springs, particularly, if it smells like "rotten eggs". Sulfur also can trigger an allergic reaction in some people. Naegleria fowleri is found in freshwater including rivers, lakes, hot springs, and poorly maintained swimming pools. Infections can occur even from contaminated tap water when inhaled into sinuses. Never lower the head into the water as an ameba can enter into the system via the nose and destroys the brain tissue. This condition is known as primary amebic meningoencephalitis or naegleriasis which is a potentially lethal brain infection. Another risk you might face when visiting wild hot springs is red spider mites. Hardly visible, the red spider mites hang around hot springs and on the surface of the water. These spiders look for new areas to hatch their eggs and thus cling to towels and clothes. A long as they are next to your skin, you are likely to cling to your skin. The immune system will neutralize any mild toxicity that spiders inject into the body. Skin rash and intense itching will stay for a couple of weeks. Do not scratch the skin and use anti-itch cream. Fortunately, only a few hot springs in Oregon was reported to have red spider mites: Bog Hot Springs, South Harney Lake Hot Springs, and Hart Mountain Hot Springs. All warnings listed above are not intended to scare you, rather inform you about minimal risk possibility. If you have never experienced hot springs health benefits, now is the time to do so. However, always use common sense when bathing in the geothermal water. You will be amazed at your increased health and vigor, and a nice weekend away can never be a bad thing. There are lots of great places out there; so, jump in the car and do something good for your health today. Disclaimer. OregonDiscovery.com provides general educational information only and does not intend to provide a substitution for medical professional advice, diagnosis, or treatment. We make no medical claims. Daldal et al. Hydrogen sulfide toxicity in a thermal spring: a fatal outcome. NCBI. 2010.